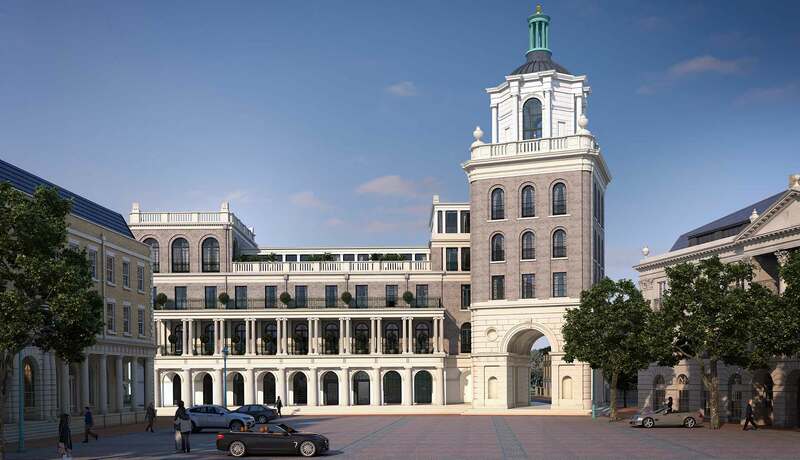 Royal Pavilion sets a new benchmark for luxury living in Poundbury. 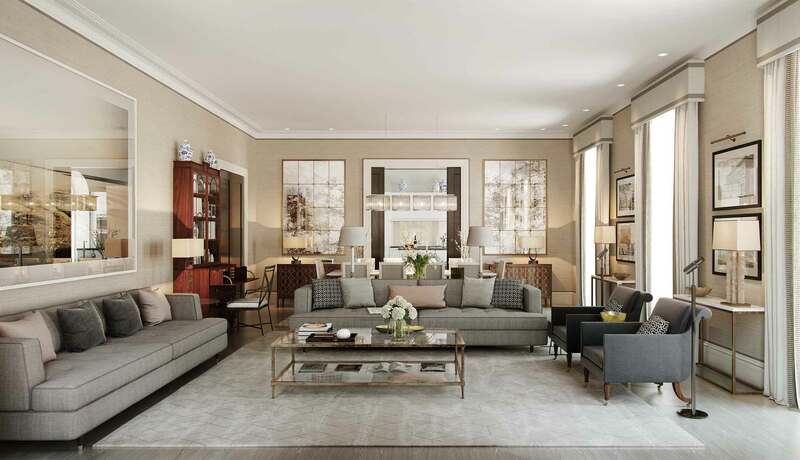 Between Queen Mother Square and Pavilion Green, this exceptional new apartment building has its roots in the scale and design of traditional grand civic buildings, with classical stone colonnades, beautiful terraces with ornate ironwork and a signature new tower with triumphal arch. 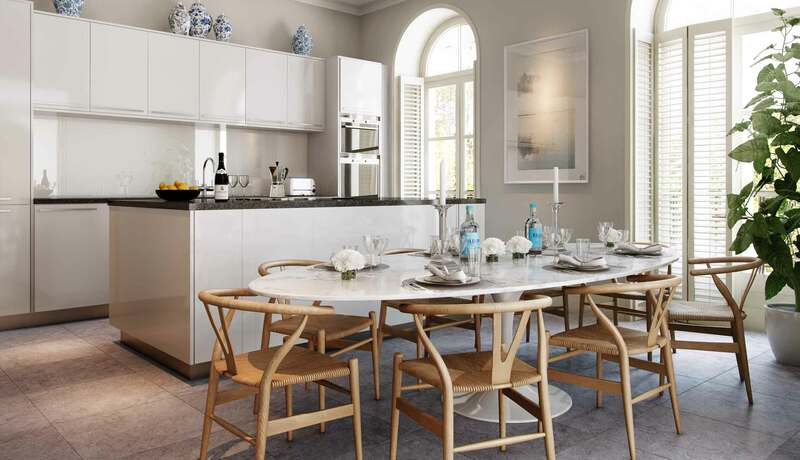 Set around a central private piazza, this collection of twenty apartments and penthouses has been designed with beautiful interiors, generously proportioned rooms, high ceilings and French doors that open onto individual private terraces for al fresco dining overlooking Poundbury. 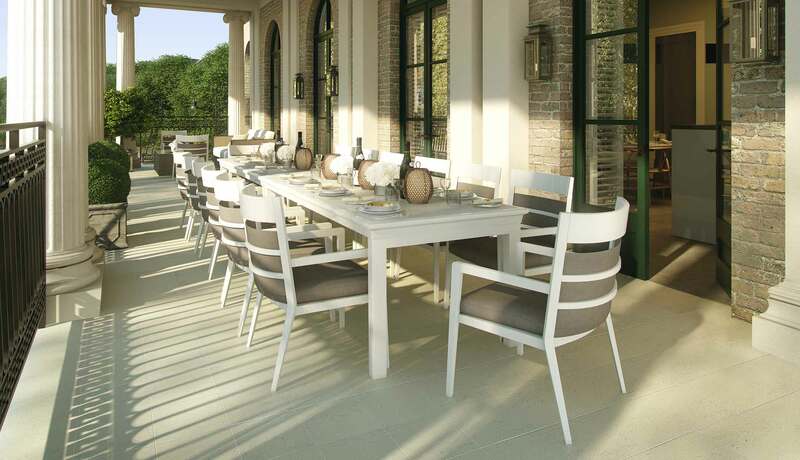 The accommodation has been designed for contemporary living, with luxury kitchens, en-suite bathrooms and dressing rooms, underfloor heating, private parking and a full concierge service. Royal Pavilion is the design of Ben Pentreath, a London- based architect who specialises in buildings that seamlessly fit their environment, often drawing from classical inspiration. 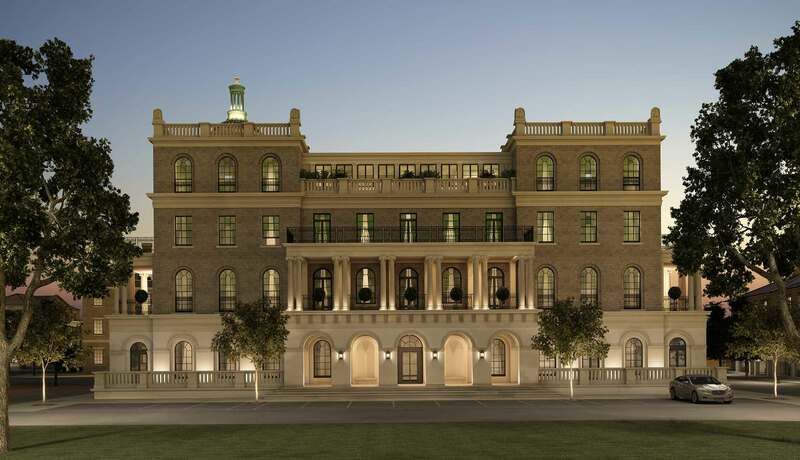 Royal Pavilion is the most significant commission for Poundbury to date and is set to provide a monumental backdrop. Named after one of Her Majesty Queen Elizabeth, the Queen Mother’s racehorses, Royal Pavilion also borrows its lineage from the famous seaside retreat built at Brighton in 1787 for George Prince of Wales, who became the Prince Regent in 1811. 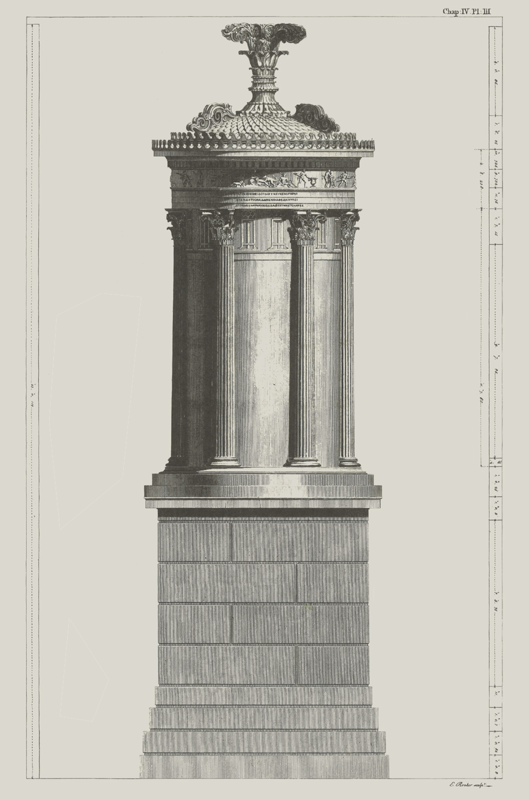 An engraving of the Choragic Monument of Lysicrates, one of the most famous ancient Greek monuments, near the Acropolis of Athens, from the Antiquities of Athens by Stuart & Revett, 1762. The building inspired many new classical buildings in the 18th and 19th centuries, and provides the model for the summit of the dome of the Royal Pavilion.